History was made across the nation last night as transgender political office seekers broke new ground coast to coast, beginning with the election of Virginia’s Danica Roem, the nation’s first transgender legislator and making it all the way across the country to Palm Springs with the election of Lisa Middleton to that city’s City Council..
Lisa Middleton became the first transgender person elected to a non-judicial office in California with her first place seating on Palm Springs City Council. Christy Holstege, a lesbian, was also elected the City’s council. 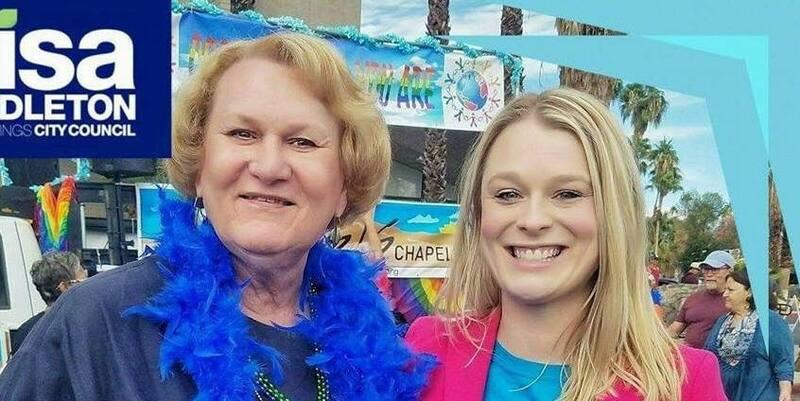 Equality California endorsed both candidates.